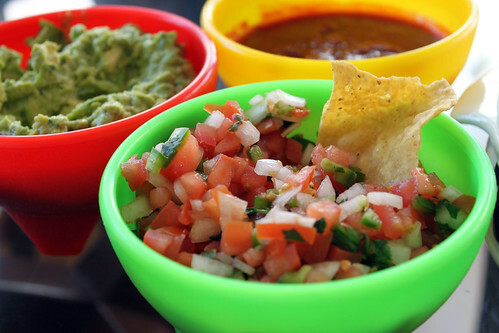 Here is a fresh, tasty, quick and easy Pico de Gallo and Guacamole that I normally make every time I cook Mexican Food. One time, I even combined the guacamole and pico de gallo together and made a Super Guacamole. 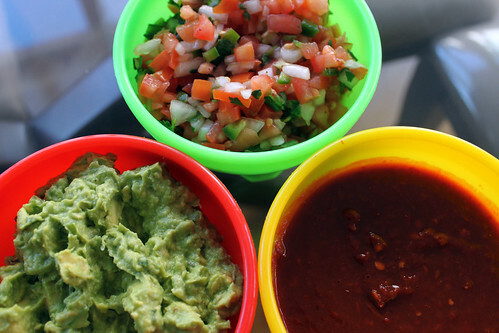 The pico de gallo and guacamole can be served as appetizers or as condiments for the meal. 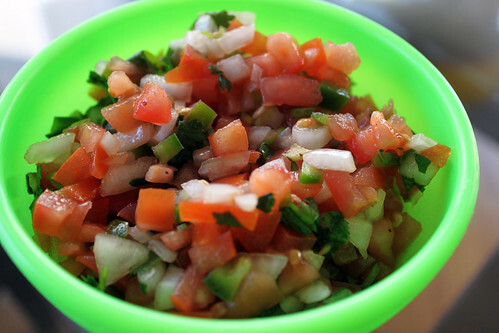 For my pico de gallo recipe, I used Roma tomatoes because it is less watery than regular tomatoes. I don’t like too much liquid in my pico de gallo. I also used white onions in this recipe, but yellow onions work fine. Dice Roma tomatoes, onion, jalapeno and transfer to a bowl. Chop cilantro and transfer it to the bowl. Squeeze lime juice, salt and pepper to taste, and squirt about 1-2 teaspoons of Tapatio to the bowl. 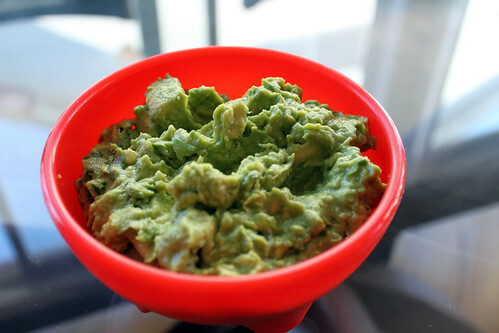 Cut avocado in half, remove pit, and scoop avocado flesh from skin, cut into chunks, and transfer to a bowl. Dice jalapeno and scallions and transfer to the bowl. Chop cilantro and transfer to the bowl. Salt and pepper to taste and squeeze lime juice to the bowl.